Well hello there! I’m back, with a hugely requested post on my DIY cut for shape and volume I did a few months ago. As you will see from the images below, the results speak for themselves. 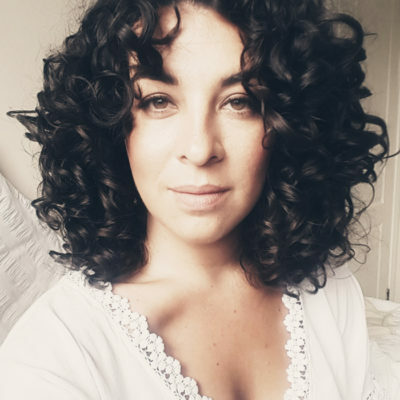 It’s amazing what a good DIY curly cut for shape and volume can do. Not just for framing the face, but for self-confidence too. I was feeling some kind of way about myself for weeks after. Not to mention lots of people said it took about 10 years off me! I inspired quite a few of you to pick up the scissors and have a go too! I loved seeing all the pictures, so make sure you tag me if you do. If you’ve been following me on Instagram for while – if not, please do! I’m really trying to grow my following on that platform and have lots of fun on stories, and more informational stuff on my feed. You can follow me @curlycailin.ie or just click here. Anyhusan, one Friday evening, Malibu & Coke in hand, I decided it would be great craic to do a DIY cut LIVE (for the first time!) on Instagram. I managed to save some of the live and convert it into a video, which I’ll share on Instagram. So make sure you’re following me there so you can watch it. Both images were taken one week, and one wash day apart, using all the same styling techniques and products from Jessicurl. I have a 20% discount code off any product on their website, simply use CURLYCAILIN20 at checkout. They do FREE samples, and I also heard they do FREE U.S. shipping on the 15th of every month. I used their Hair Cleansing Cream, Too Shea Conditioner, Confident Coils and Spiralicious Gel on both wash days. Full review coming next! 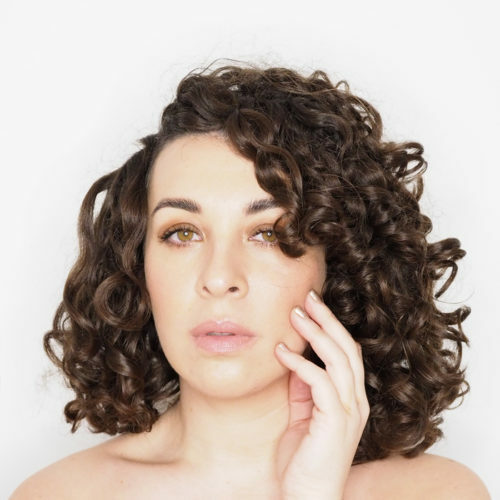 If you’re confused about curly girl techniques, or want to know how to reduce frizz and enhance your curl pattern, read this post. After eighteen months of following the curly girl method, and using good quality products, I thought my hair was pretty healthy. But as you can see from the “after” pictures, my curls bounced up and tightened so much. My hair obviously needed (another) good chop! It just goes to show the importance of a good hair cut, even if you’re using good quality products, specifically for curly hair. 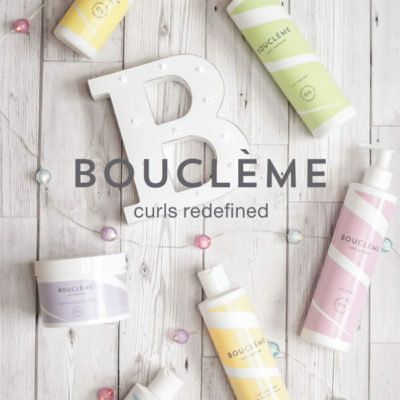 These are my favourite curly girl products and where to find them, including discount codes. So how did I do it? I watched a lot of YouTube videos, I found this one from Lana Summer the most helpful to get started. I’ve also watched my hairdresser cut my hair over the years, to see how she does it. I’ve adopted a couple of her techniques to make sure it’s even. Especially at the back, where I can’t really see what I’m doing. This is the only thing I do differently than what I’ve seen in other YouTube videos. I promise, next time I do a DIY cut, I’ll film it and upload it to my YouTube channel. If you haven’t subscribed or watched my first video yet, you can watch it here. My layers always grow faster, which is quite common. And because I want to grow my hair long again, I didn’t take anything off the ends or length. I just cut the layers to create shape and volume. It’s important you don’t just cut the sides and the hair that frames your face. Otherwise the back of your hair will look flat with no shape or volume. If you struggle with volume, especially at the roots or crown area, check out the most popular post on the blog for my root volume tips and tricks that really work! To see where and how short you want to cut your layers, take your hand over the top of your head, just above your crown. Using your fingers, gently pick up your hair until it’s the shape and length you think looks good. Get a feel for how it will look, then drop the hair, pick up a curl and snip! Yes, it’s scary – what do you think the Malibu & Coke was for?! #DutchCourage. Drink responsibly kids. 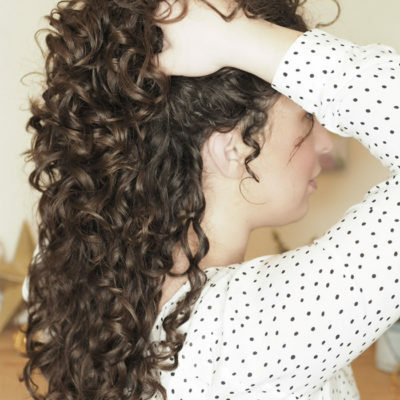 If you see a curl that looks pretty good, but straightens out towards the ends. Chop it off where it loses the curl pattern. This is a sign of damage that you cannot repair, no matter how much deep conditioning you do. I had 2c – 3a curls for the first few inches, and then straight ends from where I used to always straighten my bangs (fringe). It’s hard to let go, but it’s only hair, it will grow back. And just look at my curly bangs after I chopped that straight, damaged and dead hair off!!! Now 3a – 3b. Here’s a guide on the different curl patterns and why I don’t think they matter. So that’s it, my DIY cut for shape & volume. My hair has grown a few inches since these pictures were taken. As much as I loved my short hair, and the confidence it gave me, I’m growing my hair long again. What do you think? Do you prefer my hair long or short? 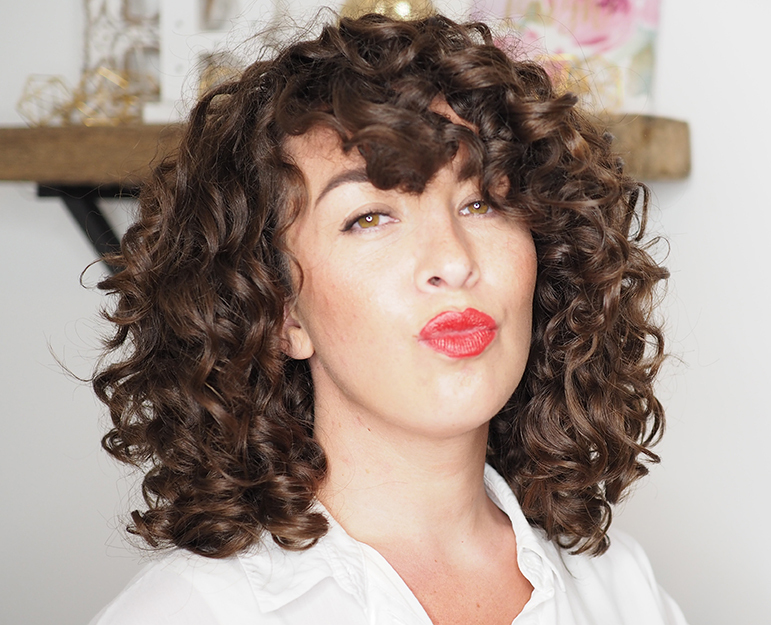 Are you ready to do a DIY curly cut? Let me know in the comments below and if you do, make sure you tag me in any pictures you share on social media! 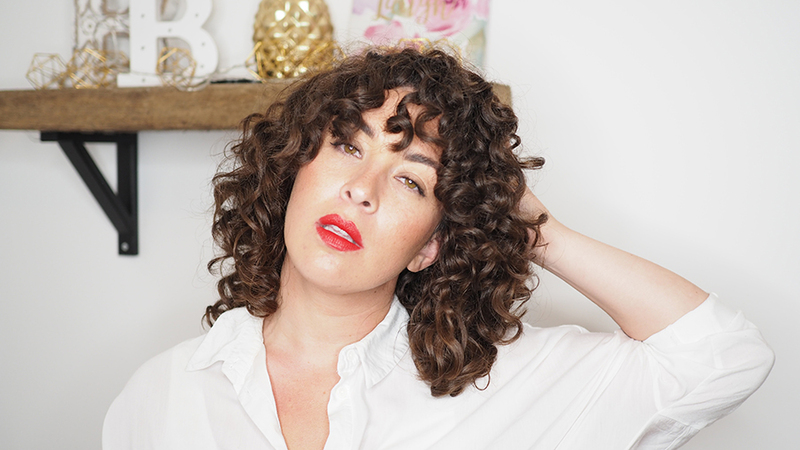 Not sure how to put a curly girl approved product routine together? Read this how-to post, along with product recommendations and sample routines to try.